A few days ago I could get a decent broadcat of Meteor M N°2 satellite. Here's the result. Great Britain on the left. Baltic sea, golf of Riga, golf of Finland on the right. My setup was Bananpi and R820T RTLSDR with toolchain by DH1MLJ, DIY QFH, TV SAT PREAMP. Always remember: this was the first test of the setup. 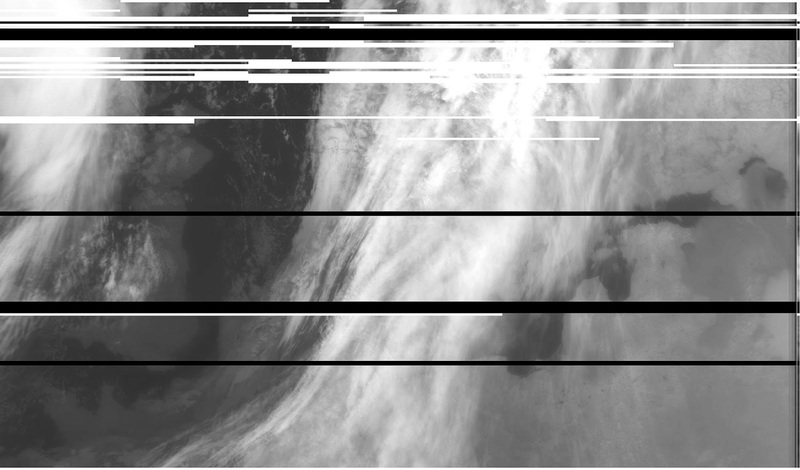 Even if this picture isn't as good as the ones in Satellitenwelt forum it's obvious that the picture qaulity is far better then the quality of the NOAA APT pictures.